It all started back in 2002 when Johnny and Peter S. met. Peter had some tunes he wanted to work with, and Johnny being a musician, decided to help out. In 2004 Johnny opened up an indie record label in Amsterdam where he had moved to from Sweden, and Peter S, who had taken the artist name “Caisedo” got contracted as one of the first artists into the new company. The work for the Caisedo album began in pre-summer 2005 with the help from fellow musicians Peter Lundh on guitar, whom Johnny had been playing with since 1995 in the band Fetare N Berit. Hasse Öhman, the drummer of the same band, as well as one of Johnny’s oldest musician companions (dates back to 1983) was invited as well. Leif Gyllenberg, with whom Johnny had written pieces for another project, got the position as the keyboardist. All was well but the process took time. 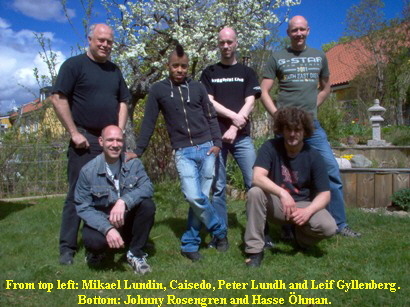 But suddenly in April 2006 the guys went into the studio together with the producer Mikael Lundin to record the bass and drum section. The rest of the year 2006 guitars and keyboards was recorded. 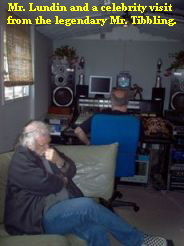 In may 2007 it was time to record vocals. It was then we all realised something had happened. We, the musicians of the project had managed to take the music a bit too far. Thus making the music too hard and too much rock for Caisedo. Caisedo tried to bring his voice up to date, but to no avail. It was not going to happen. Caisedo´s voice is not a rock voice. So, there we all were. We made an album for Caisedo which he couldn’t sing on. What now? The mutual agreement was that the music was far too good to just drop, so lets find a new vocalist for it. While we also start working for a new album for Caisedo. So, in beginning of summer 2007 we put one song out for download. To see if anyone would like to sing to it and send it back for evaluation. A sort of competition to be our new vocalist. The song we choose was the song “When I think about it”. In October 2007 the competition was over and we had found our man. The song that Anders Moberg sent in was “Fields of snow” and it took us all by storm. He had the voice, the power and a good old fashion melody to it. So Anders was contracted into the project, which had changed its name to “Project TRAP” because it turned out to be a project rather than a band, and the TRAP came because it was supposed to be released under the label which had the shortening TRAP. So by spring 2008 Mr. Moberg was writing new lyrics and melodies to all the songs, and during that summer, he jumped into the studio to record when the weather was at its best. We also had a visit from Jessica who put down some backing vocals for us. In 2009, one of our songs was released on the Art Performance Production 5 years celebration CD. 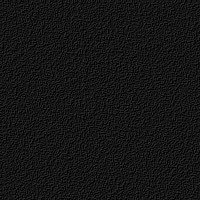 It is a radio edit version of Fields of Snow. But due to issues, non foreseen, the album is delayed. We will let you know when it is due for release.